The tour begins with an exciting road journey past numerous enchanting views of verdant Kumaon valleys. The day will be free to explore the beauty of the place. It offers an excellent view of the northern Himalayan ranges. Its placid Naini Lake, pretty temples, busy bazaars and the stunning Himalayan peaks at a distance makes gorgeous panorama. It is also known as `Lake Paradise?. 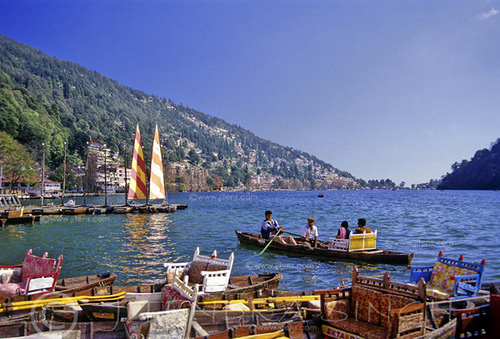 In its beautiful Naini Lake the option of boating through yachts, paddle boats and traditional rowing boats is available on this day. After breakfast, drive to Ranikhet, Rolling green hills and the views of Himalayas tucked in the background with a distinct old- school military atmosphere. At 6000 feet, it is a serene and peaceful hill station foreshadowed by conifer forests and surrounded by snow clad Himalayan ranges. Ranikhet also offers golfing at the 9 hole Army Course besides being known for the orchards of Chaubatia and Jhoola Devi Temple. Also explore the Kali Devi Temple before returning back to the hotel. Accommodation in double sharing in mention or similar hotels. If you have not decided yet or wants to customize tour itinerary or hotels listed above in "Fabulous Uttarakhand Tour Package From Via.com", then we can change the travel itinerary and make a personalized, tailor-made holiday package, especially for you. We can modify this travel package as per your itinerary, budget, duration and the tourist places you would like to visit, including transportation and airfare should be included or not. Please fill the form below to contact us.